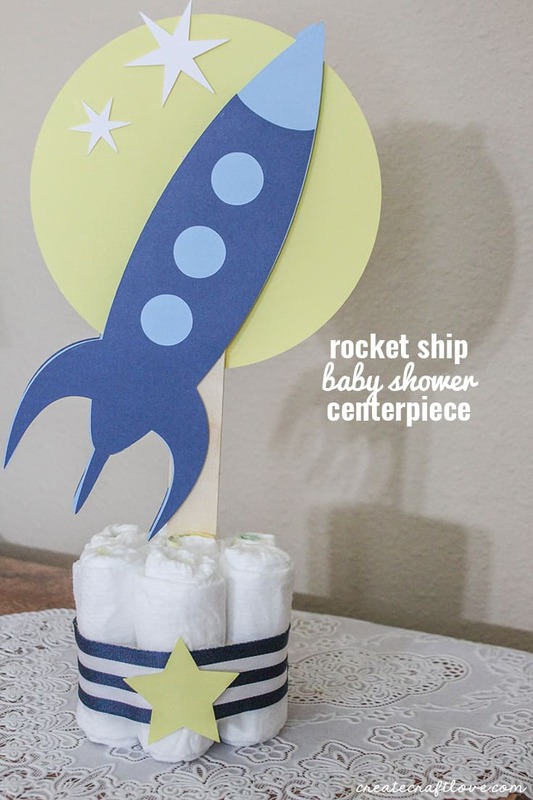 This Baby Shower Centerpiece is perfect for a space or rocket ship themed nursery! I’ve been busy helping to organize a baby shower for one of closest friends these past couple of weeks. Her nursery theme is space and she wanted the shower to reflect that. With the help of my Cricut Maker, I whipped up these cute centerpieces. I used an image from Design Space called Star Rocket (#M384DE). 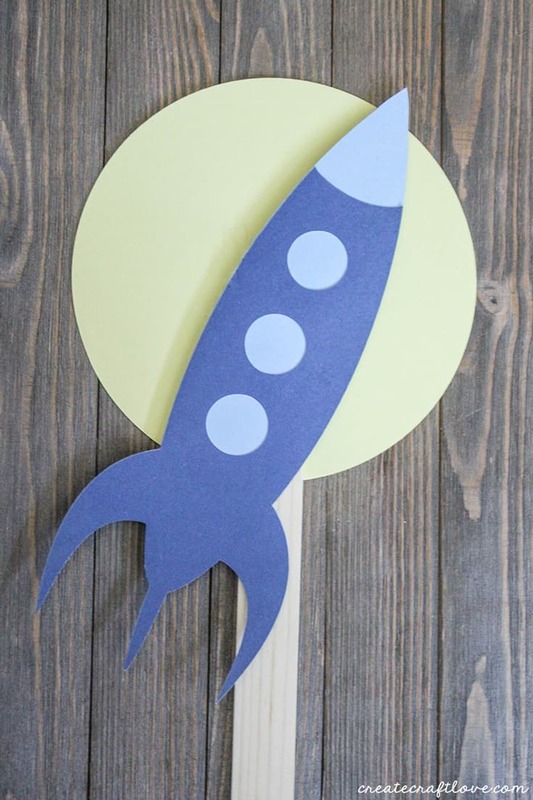 In order to make the centerpiece dual sided, I needed to create two rockets for every centerpiece. Begin by cutting all of your individual components. Glue the rocket piece with the windows to the back piece. Hot glue a paint stick to the moon. 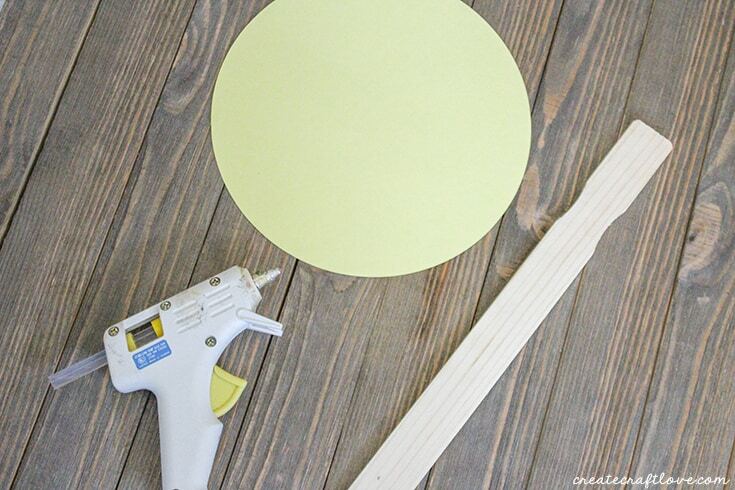 Glue one rocket over the paint stick at an angle. Turn over and mirror the rocket on the back side. Glue in place. 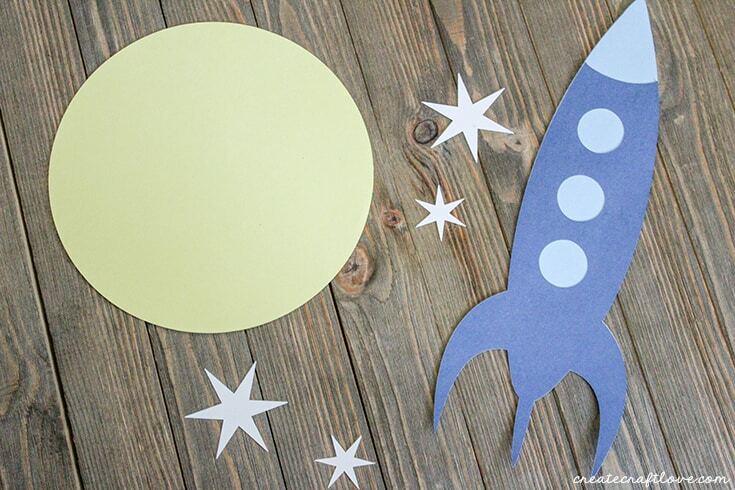 Next, glue the one big star and one little star to the front side of the moon. Repeat the process by mirroring the stars and gluing in place on the back. Set aside. Now you will create your diaper base. 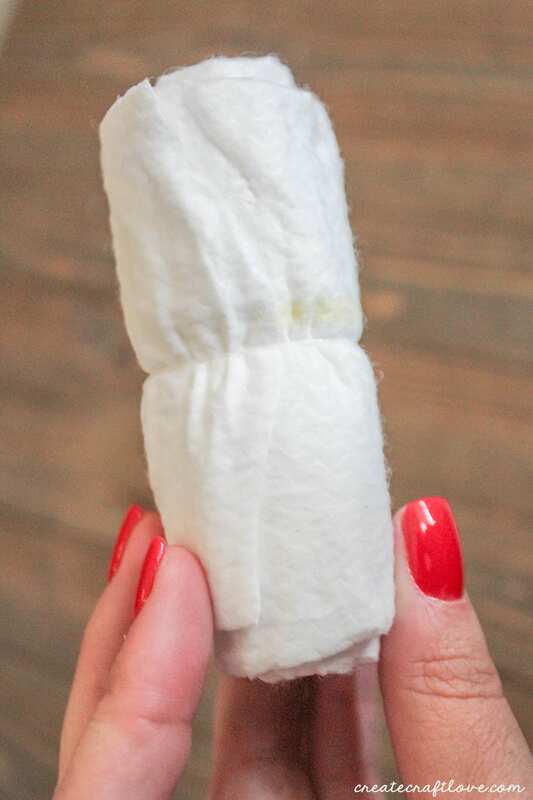 Take a newborn diaper and open it. Start at one end and roll the diaper. Secure it with a tiny elastic hair band. It takes 7 diapers to create each base. 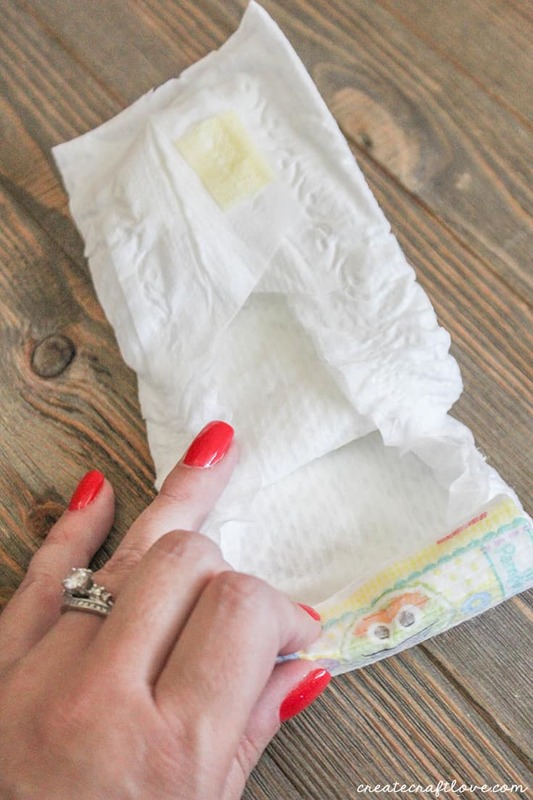 Begin by placing one rolled diaper in the middle and then place the remaining six around the middle diaper. Secure together with a large rubberband. Hide the rubberband by covering with a piece of ribbon. Glue ribbon to itself. I added a yellow paper star to the middle of the ribbon. The Baby Shower Centerpieces turned out perfect and Kristin loved them! She was able to keep the diapers from the bases and is going to use the rockets in the nursery.